The commercial success of Android-powered smartphones has been tremendous in the last decade. This success is owed to the convenience that Android smartphones offer consumers. Now, we can get things done on the fly. Thanks to an ecosystem of productivity apps on the Play store. While the sheer number of applications on the Android Play Store is staggering, there is still a difference in function between Android applications and PC software. Android apps are built for easy deployment on the smallest smartphone running Android OS. On the other hand, PC software’s are developed for an elegant environment and have rich features to do their various works. This difference makes using PC software’s better in some cases. If you are like most techies, you’d want to have some select PC software’s on your Android device, to get the best of both worlds; rich features, portability, and convenient use on the go: Hence, my reason for wanting to show you the Top 3 Best Ways to Convert EXE To APK. If you’re a techie or just someone that’s interested in knowing the best ways to Convert EXE To APK, here are the best options for you. They are the best methods or applications to convert .Exe programs to .Apk Apps. To get the Exe to APK converter app, you need a reliable internet connection you can download and install the application to your computer. Go to this web address to download the software to your PC (Personal Computer). After downloading and installing the application, start the program. When you open the program, you will find these two options: “I have the Setup Files” and “I have a portable application.” Select “I have a portable Application” and Click Next. Select the app file and start the conversion – this should take some seconds to minutes. When the conversion is complete, connect your phone to your laptop, copy the APK file to your phone, and then install. Run and use it – that’s how you convert an Exe file to APK. Another method of converting EXE to APK is a file opener. These file openers are Android apps built to run .Exe software. 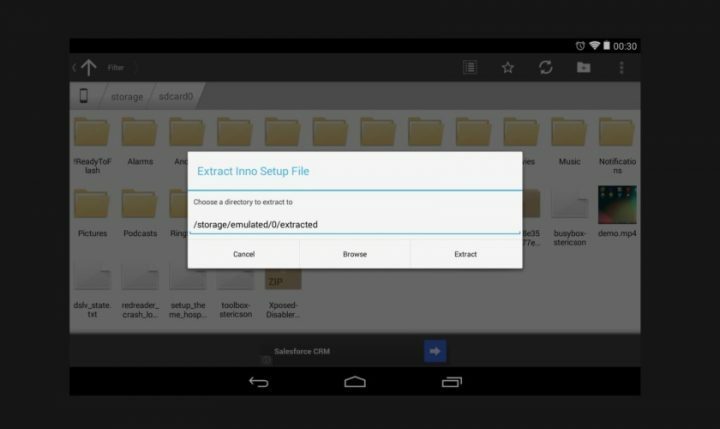 INNO setup extractor is a notable file opener for Android phones. This application offers a more direct way of running .Exe files on Android. To use this application, you need to download the software from the Google Play Store and also download the .exe application you want to run. Open the Inno Setup Extractor then browse your files for the .exe file and then run the file with the app. The extractor will extract the .exe file to your phone for easy access when you want to use it. Run .Exe files using DOX box app. DOX box applications have been around for years now. You would probably have used one if you tried running an old windows application on a recent Windows Operating System. Thankfully, DOX box apps are on Google Play Store. A notable application is the AFreeBox. With this software, you might be able to run some Exe files. To do that, install the app from the Google Play Store. Download the Exe file you want to run and place it in a new folder – remember to give the folder a name you can remember (to find it quickly). Afterward, run the AFreeBox, and then input these string of words “cd\folder name” into the command line. Once the folder opens, type in the name of the application you want to run in the command line. If the program is 100% compatible with the AFreeBox app, then the .exe file will work. These three methods have proven to be useful in running many applications. Mind you; not all applications will run on Android. Some apps are graphics intensive or power intensive, so ensure that your phone has the requirements to run such heavy applications. Do you know other ways to easily convert .EXE to .APK? Use the comment box below to share your views and opinions. Previous ItemBacklinks Indexer Review 2019: a Super Useful SEO Tool for Marketers?